You put a lot of money down on your beautiful dream home, but you find you simply cannot enjoy your outdoor space as long as you thought you could. The summer sun was hotter than ever before last year, and this year is slated to be just as hot. Rather than saying goodbye to your outdoor space and locking yourself indoors, consider the addition of a folding arm awning. These additions to your home are not only beautiful and functional, but they will instantly allow you more access to the patio of your home. Exterior retractable awnings were designed with thick, durable canvas in order to keep back the sun and allow you and your loved ones to enjoy the beauty of the outdoors. With such an addition to your home, you create a large area of shade guaranteed to reduce the temperature within as much as ten degrees. Imagine for a moment the instant relief you will feel when you step out of the hot sun and into the cool shade of your new awning. You can finally enjoy the barbeques you promised your family, take a long drink of your favourite beer or tea, and really sit back and enjoy the great outdoors the way you were meant to. When first created, folding arm awnings were used over windows and doors in order to provide an additional layer or two of relief from the sun. Now they are designed to stretch over an outdoor pool area or car space, create an outdoor dining and entertaining area, and even extend the roof of your existing patio. UV rays from the sun are dangerous and can cause any number of painful and unpleasant side effects when you expose your skin to them too long. Imagine the fun and relaxation you and your loved ones can enjoy a shaded pool and barbeque area. The money you save on sunblock alone is enough to seriously consider this new addition to your home. Unlike a fixed awning, your new retractable awning can be manually or remotely rolled back and put away in the event of severe weather. It can also be customised to any colour you might imagine in order to match the style and colours of your home. You can even choose to use two or more colours with a striped design in order to bring an added sense of fun and cohesion to your home. Because you can retract awnings, they are guaranteed to last longer and stay beautiful with time, and thus, the property value of your home is increased. The aesthetic beauty of your home is the first thing noticed by potential buyers. After that, functionality is the next item on the list. Since your retractable awning is both beautiful and functional, you add as much as 10% to your property value and are more likely to see offers of your asking price. Reclaim the summer for yourself and your loved ones and really get the most out of the outdoors this year. 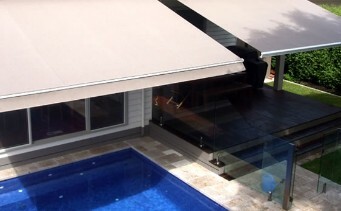 These awnings are easy to install and customised to you, and you can never go wrong with their addition to your home.